Specifications: Year: 2006 LOA: 5.62 m Beam: 2.08 m Draft: 0.65 m Construction: GRP Hull / Keel: Planing HIN: N/A Description: "This boat was manufactured in 2009 in Finland. It is designed for the adverse weather conditions of Scandinavia and is very popular in Finland, Norway, Denmark and Sweden. Step straight onto the boat from a jetty or pontoon...built-in steps in the corners of fore and aft decks make it easy to climb back out onto the shore. On the stern there’s a folding stainless boarding ladder for access from a tender. Moving about the boat is easy with access to fore and aft cockpits through the cabin. Plenty of freeboard and stainless hand rails make for safe movement even in rough conditions. 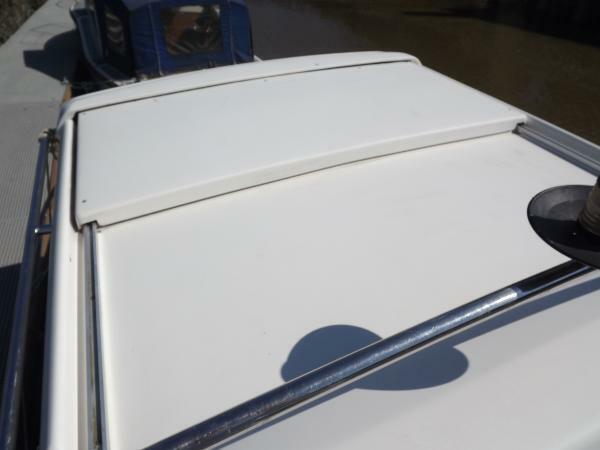 There’s even a stainless rail extending across the back of the roof and down both sides should you need to hold on to something when coming alongside. Excellent visibility from inside the cabin help accuracy when approaching a mooring buoy or pontoon. With a capacity of 7 persons there’s plenty of comfortable seating inside the cabin and on deck. Even with all this accommodation she is small enough to trail and easy to launch and recover. The cabin provides comfortable accommodation when underway or at rest. The adjustable sunroof and opening front and rear doors allow plenty of air movement when the weather’s hot, & lots of protection when it’s not. The helm seat is fully adjustable fore and aft and the seat back folds down when required. The forward facing passenger seat folds down and hinges fully forward to reveal a space below where you can fit a small cooker and sink (available from the importers). The 2 single bunks have storage space under to stow rods and tackle out of view. There are adjustable ventilation grilles above both rear windows help to keep damp out during storage. There is also interior lighting and a 12v power point. Removable fishfinder bracket is mounted above the instrument panel. The stainless boarding ladder makes access easy, whether from a dinghy afloat or from the ground ashore. After use it simply folds up right out of the way for storage or trailing. The built-in 58 litre fuel tank has a locking fuel cap located adjacent to the boarding ladder. High handrails on both sides give maximum safety but do not impede movement or get in the way when fishing or mooring. At the back of the cabin roof the stainless handrail extends full width with the steaming light mounted high up in the centre. Ventilation grilles are located above each window and the handrail continues down both sides of the cabin. Note also the full width sliding sunroof which may be locked open in different positions. The forward deck is easily accessible from the cabin through the sliding door. There is also room to walk around outside the cabin with stainless handrails extending the full length at roof height. 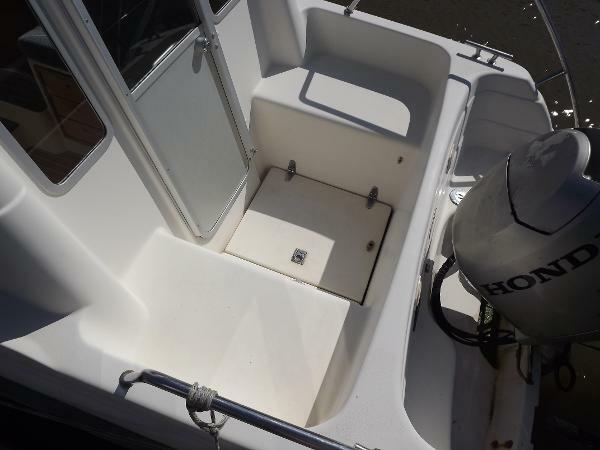 The deck is self draining, has enough room for 4 rods and will seat 4 passengers when underway. From the cabin there is excellent visibility forward and the window in front of the wheel has a windscreen wiper. Stainless handrails and cleats provide maximum safety and secure mooring forward. The anchor locker has a self-closing lid that will not lift at speed. Seating for 2 is available over the roomy fender locker which also has a lockable cover. It is also easy to step up over the locker onto the bow for access between the handrails forward to exit the boat over the bow when coming in bow-on to a pontoon. The corner seats on both sides immediately in front of the cabin double up as steps to make it easy to step off on the side especially as the stainless handrails terminate just in front to avoid obstruction." Engine(s) & Electrical: Honda 90hp, 4-stroke. Fuel capacity: 58 litres.Fixed fuel tank with locking filler. Single battery charged from the engine. Accommodation & Below Deck: 2 berths, sliding sunroof, coated teak floor in cabin, Wallas 800 gas cooker, small chart table with cup holders. Deck & Canvas: Walk-through cabin with hinged back door & sliding front door, windscreen wiper, anchor, stainless steel pulpit & grab handles, draining fore and aft cockpits, bow hinged anchor locker, stainless boarding ladder. Navigation & Safety: Garmin Fishfinder, 160c chart plotter, Lowrance global map 5150c, navigation lights, 4 life jackets, 1 fire extinguisher, bilge pump. 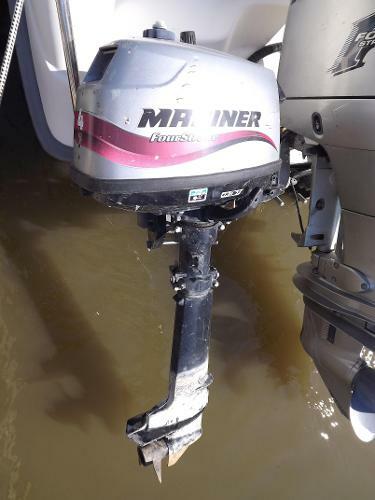 Miscellaneous: Mariner 4hp, 4-stroke auxillary engine. Mooring in Sandwich, Kent paid until 28.02.19 and available seperately. Viewings are by appointment only. For an instant insurance quote call Euromarine Insurance Services on 01843 603345 Disclaimer: The particulars detailed herein are intended to give a fair description of the vessel, but their accuracy cannot be guaranteed. These particulars are supplied on the understanding that all negotiations shall be through Highway Marine Ltd who are acting as brokers for the vendor. The vendor is not selling in the course of a business unless otherwise stated. The prospective purchaser is strongly recommended to check the particulars, and where appropriate, at his own expense, to employ qualified independent agents to carry out a survey, and/or any mechanical and electrical checks.